People kept telling Chris Tomlin, one of the most popular songwriters in Christian music, that he needed to work together with another songwriter named Jason Ingram. After several people made the suggestion, Tomlin texted Ingram one day and said, "I hear we need to get together and write. You must be the deal." So the two set up a time to meet and Tomlin said he'd drive up to Nashville from his home in an Atlanta suburb, about a four-hour trip. "It was the most amazing writing day of our lives," Tomlin said recently on the porch of the house that houses his recording studio in Johns Creek, Georgia. Tomlin went with low expectations, not even thinking they'd finish a song, but rather they would get a good idea on how to blend their styles. In 24 hours, they wrote about half a dozen songs. "I usually get one song every couple of days," Tomlin said. Three songs made it onto "And If Our God Is For Us...," Tomlin's latest album, including the lead single "I Will Follow." Ingram had written most of the song with Reuben Morgan of Hillsong, but it needed a bridge and some shaping, and an excited Tomlin said they finished that and the other tunes in one memorable day. The song is somewhat of a departure from a "traditional" Chris Tomlin song. The album is co-produced by Ed Cash, whom Tomlin had worked with five times previously, and Dan Muckala, who brought a pop feel to "I Will Follow," and several other songs. Muckala described it as finding the center channel - the drums and the vocalist leading the song. "We went in some ways for songs that were a little more beat driven," Tomlin said. "After 10 years of doing this you don't want to just put out the status quo. I've never been one to just put it on cruise control." Muckala has worked with pop artists the Backstreet Boys and Nick Lachey, so some of his songs may draw comparisons to their music, but others say "I Will Follow" has more of a OneRepublic feel. The album has received mixed reviews; Jen Rose and Ryan Barbee at jesusfreakhideout.com said the CD was a bit unoriginal and some of the songs "blended together" or felt "repackaged." They suggested fans might want to download their favorite singles. Christianity Today gave it higher praise. Robert Ham writes: "He doesn't disappoint with some beautiful sentiments of praise that, like the best worship music, captures that rare combination of corporal and spiritual, the personal and the global." Tomlin's music is consistently among the top music sung in churches, especially bigger evangelical churches with contemporary style services. It'll be interesting to see how some songs on this album are shaped by worship leaders for Sunday services. The songs on the second half of the CD, like "Jesus, My Redeemer" and "Faithful," seem like a much more "natural" fit for the transition from CD to singing in church. In the end, studio production is a plus, Tomlin said, but the best albums should be about the content of the songs. "You should be able to sit down at a piano or with an acoustic guitar and still move people," he said. That is after all is his mission, he said. The Texas-born singer said he grew up on country music and he has friends that wonder aloud why he doesn't change genres and make a big living in that field. But Tomlin said he feels in his heart this is the music God wants him to do and he has been given a tremendous platform to make an impact on people's lives this way. The radio can make a song last six months, he said, but God can make it last 60 years. "I take it very seriously," Tomlin said. "When I'm writing songs I am thinking of people. I'm thinking of congregations, of the church. I'm not thinking of it as, 'Is this my art?'..." "That's not for me. I want to write a song that people can sing, that they want to sing, they need to sing. Something that gives them a voice to worship." I don't know how is Chris Tomlin? What's his nationality? What's his religion? I am from very far country! I am from very far nationality! I am from very far religion! But when i first time listened to his song " I LIFT MY HANDS", i found that my God is like Chris Tomlin's God. In his song i see philanthropic feeling, kindness and strong beliefs. I am so glad for having such awesome singer that do such amazing songs. Great article talking about a wonderful Christian artist who is following God the way we all should! Thank you for publishing. Chris, thank you for being so sensitive to the Lord's calling. It is beneficial to us all. Thank you Chris Tomlin band this new album is so awesome!!! I LOVE IT my favorite songs are Our God, I Lift my hands, No Chains on me, All to Us Peace, Love CHRIS TOMLIN! No Chains On Me! Yess! GLORY IN THE HIGHEST CHRISTMAS CONCERT!!! Wednesday night with Chris Tomlin, Louie Giglio, Christy Nockels hope I get to met you Chris after the show. We sing together all Christmas songs Our God, I Will Follow!!! Thank you for kindness Chris. Interesting David, come on dude that was pretty trollish and not like you. Your post while dead wrong often , mostly are one of the few non-person of faith post that I feel many on our side feel are worth reading. Personally I am waiting for Patti labelle country album, Randy Travis rap album and the tupac, Elvis and Michael Jackson presents Celtic Riverdance. What is Christian music other than lyrics about the embellished and "mythicized" life of a long dead, Jewish, preacher man? What is Christian music other than lyrics about the embellished and "mytyicized" life of a long dead, Jewish, preacher man? So thankful for your music, God has truly announced it, and it always strengths and ministers to me. Glory to God!! david you are right. and margaret you are right. and tracey you are right. yay for subjective taste in music and what is, and isnt valuable! If Chris's voice is as good as you guys say, its a shame he is wasting it singing Christian songs. David, What better music is worth singing? Chris Tomlin understands something about wjy God sent us here. If you don't have anything worthwhile to say, keeping quiet is an option you should choose. 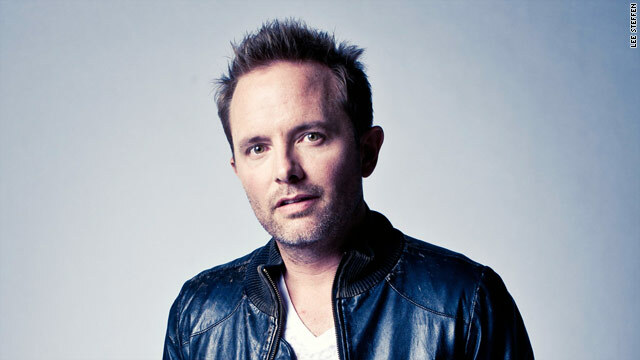 Many of us are thoroughly blessed by Chris Tomlin;s music and we sure are thankful that He's using his voice for the Lord who gave it to him. The album "If Our God is For Us" is Chris's best so far.His voice is stronger than ever.I've seen him in concert 3 times and each time is was the most amazing worship to GOD you can get.Jen Rose and Ryan Barbee must be tone deaf.I'll pray for you guys!